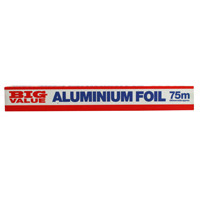 Caterwrap Catering Foil Cutter Box 450mmx75m 23C05 Pack of 1 Foil perfect for your catering needs. Aluminium construction. Helps keep food fresh when refrigerated. Roll for easy access to foil. Catering sized pack. Dimensions: 450mm x 75m. Caterwrap Cling Film 300mmx300m Cutter Box 32C08 Pack of 1 PVC Cling Film. 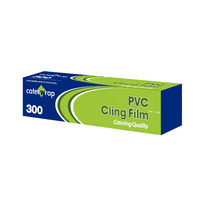 Catering quality cling film supplied in a dispenser box with cutting edge. 300mm x 30m. 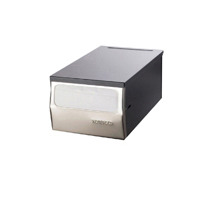 Novafold Cafeteria Dispenser C01078 Pack of 1 Smart, unobtrusive napkin dispenser. Sleek, sliver metal finish. Will hold up to 300 napkins. Easy to refill - just remove the lid and add more napkins!. Dispenses from the front. Ideal for any mass catering event. 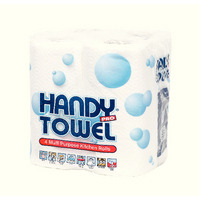 Handy Towel Kitchen Roll White 1105090 Pack of 1 Handy absorbent paper towel roll. Suitable for multiple uses around the home or office. Ideal for spills and general cleaning. Absorbent, strong and excellent value for money. Colour: White. 6 packs of 4 rolls. 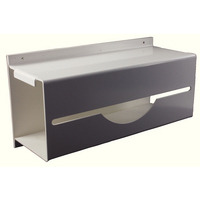 White Wall Mounted Apron on a Roll Dispenser VPPAPD Pack of 1 Dispenser for disposable apron rolls. Designed for use with rolls of 200 aprons. Easy access aperture. Ideal for food industry, manufacturing and clinical environments. Wall-mountable design. Colour: White.